Paperback. 406 pages. Published 4th May 2017. The Sheildrake Press. ISBN 978−0−9519998−2−0. 235 x 156 mm. Illustrated. Among the appendices are notes of training with Walter Carrington 1955–59 by a student, and Walter Carrington’s 1959 diary of attending the First International Congress for Release of Tension and Functional Movement, in Copenhagen. Full listing of contents in 4-page PDF. Free DVD accompanying “An Evolution of the Alexander Technique”. 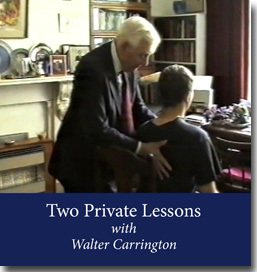 Unedited Documentary Film Footage filmed in Walter Carrington’s teaching room at 18, Lansdowne Road, London. In May 1997 Graham Thompson and Ross Allen – who were at that time training with Ken Thompson at his teacher training course in Essex – had a lesson each from Walter Carrington. They filmed each other’s lessons. They had not had any lessons from Walter Carrington before. This rare film footage provides an authentic record of two lessons given by Walter Carrington. Graham and Ross did not have a plan or a script, but were making a film record of Walter teaching. Hence the results are spontaneous and natural, a fair documentary of what a lesson with Walter Carrington would have been like at that time. 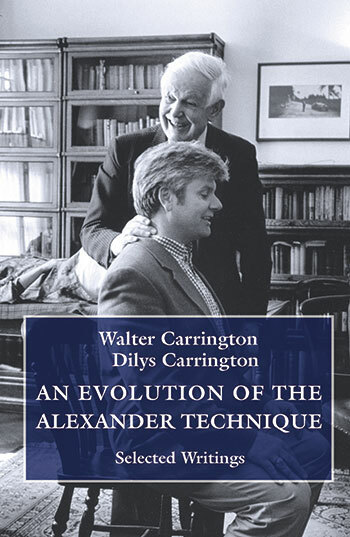 Walter Carrington had trained 1936–39 with F. M. Alexander, and Walter taught until his death in 2005. In May 1997 he was 82 years old. The footage shows the simplicity and ease with which he approached and taught his lessons. Running time approx. 53 minutes.